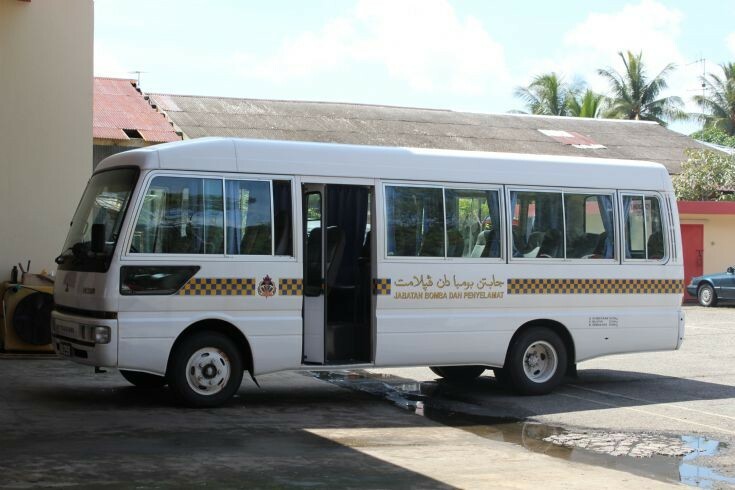 Brunei Fire and Rescue Department (BFRD) Mitsubishi Rosa bus no.2 (BUS 2). This bus is currently stationed at Operational B Command of Belait District and used by all fire stations under the command. Photo taken on 26 July 2010 at the Belait fire and rescue station.